After managing to pull out a win despite being down nearly half their team, using a nine-nothing run to finish the game with a dagger three from Jaylen Brown, the Boston Celtics put the icing on the cake of clutch-time greatness last night. There might be teams with better records, but no team has done more with less, and done it when it counts. Brad Stevens had better be near the top of the Coach of the Year shortlist, because this team continues to impress when their card is punched. 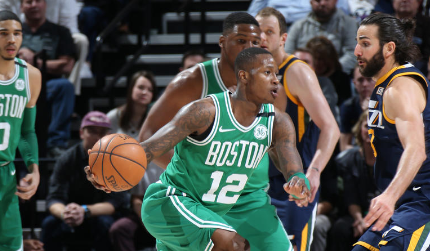 Watch the video above to see just a sample of how the Celtics have been taking care of business late in the game.